The structure of the fly ash lightweight aggregate is compact, low porosity, with hard glassiness shell. It is suitable for make up high strength, low density, high heat resistance, fire proof and durability lightweight concrete, which is widely used in constructional engineering, bridge construction and road construction. 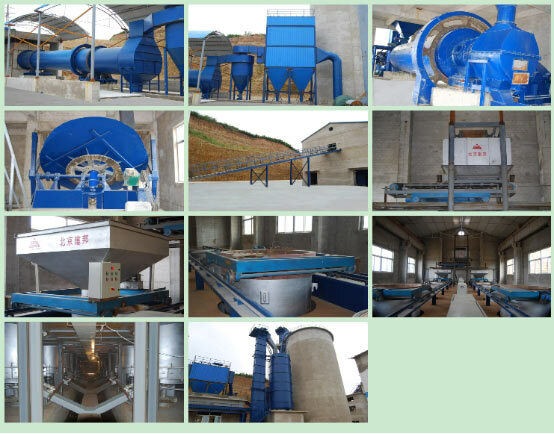 The complete of the fly ash aggregate production system is composed of material supply, continuous metering, (humidification) mixing, secondary blending, pelletizing, sintering machine burning and electric automatic control system. This system adopts three level flyash as raw material, which discharged in quantity by power generation enterprises and chemical enterprise. 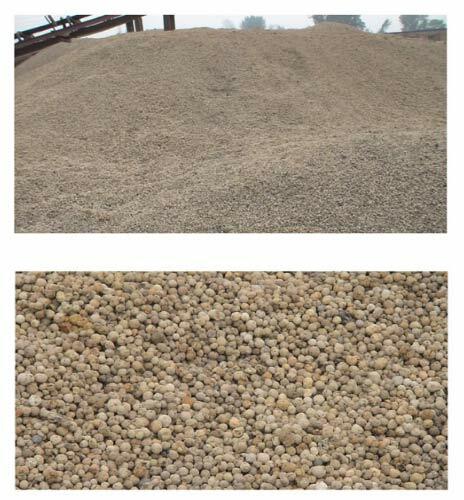 In the raw material, the content of fly ash is up to 85%-92%, adding certain percent of auxiliary material, adoption of new technology, after pelletizing by disc pelletizer, taking advantage of carbon not burn out in the fly ash, making the green pellet to be natural roasting, turning out a kind of lightweight, hard and honeycomb artificial lightweight aggregate, the bulk density of which is usually 610～750kg/m³ and cylinder compressive strength is up to 3～8Mpa or more. These indexes are calculated upon 100,000m³ annual output of flay ash lightweight aggregate. These indexes would change slightly according to the difference of gray matter and process configuration. ● supplying the spare sparts and maintenance service for every kinds of industrial rotary kiln.